For professional lumberjacks, competing in the World Logging Championships is a dream come true. Now, aspiring loggers who don’t have the means to sharpen up their skills at home can practice with a new virtual reality game, The Verge reports. 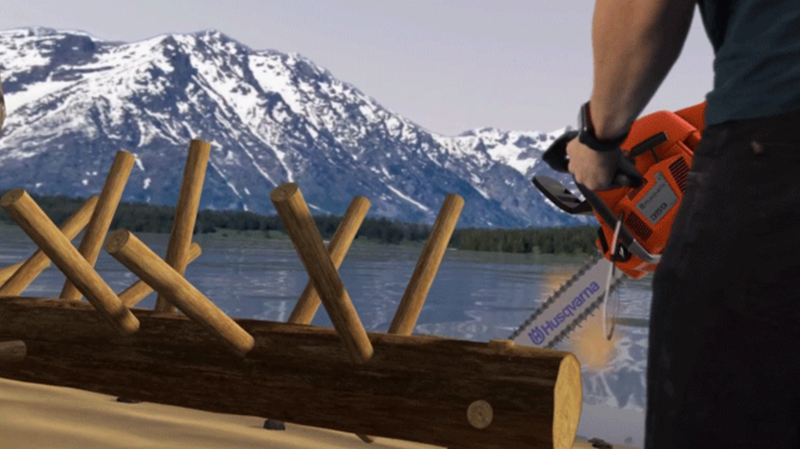 Limberjack, which is currently available for the HTC Vive on Steam, simulates all the high-stake thrills of “limbing.” The activity is exactly what it sounds like: Players shear the limbs off logs in a mountain setting using a Husqvarna-brand chainsaw, which is the same power tool company behind the game. According to the game’s description, the training site is a place for every lumberjack wannabe to go after their "dream of breaking into the World Logging Championships to become the undisputed greatest limber alive.” The real World Logging Championships take place in Wisla, Poland this year from September 8 to 11, and includes competitions in tree felling, chain fitting, and precision bucking. Those events aren’t included in this game, but players who master the art of virtual limbing can hold out hope for a sequel.